India is a melting pot of varied religions, age old cultures and ancient traditions. In order to make sure that you get the best of both worlds we bring to you our highly revered package which includes Buddhist along with golden triangle tour. The package includes a completely divine journey to some of the most important and sacred Buddhist travel destinations. Give yourself and your loved ones the gift of wholesome spiritualism at its best. 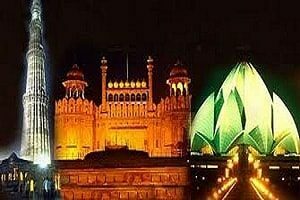 Upon your arrival in Delhi our tour representative will help you in getting transferred to your allotted hotel, where you will be smoothly checked in for dinner and an overnight stay. After having an early morning breakfast, you will be taking on a sightseeing excursion of Delhi. Your sightseeing tour will kick start by visiting Red Fort, which is a UNESCO world heritage site and was constructed in 1639 by the Mughal emperor Shah Jahan. This fort functioned as the ceremonial and political centre for the Mughal state. The entire complex pans at an area of 255 acres and presently it is home to a comprehensive museum. Next stop will be the holy Jama Masjid, which was built between the years 1644 to 1656. With detailed architectural stylings, intricate designs and carvings along with an overall peaceful environment, this place evokes a feeling of deep compassion for the Lord. You will then be taken to Mahatma Gandhi’s memorial place, Raj Ghat. Located on the banks of River Yamuna, this is the exact spot where Mahatma Gandhi’s cremation ceremony took place. After paying your respects to the father of the nation, you will be taken to the famous Laxminarayan mandir. This temple is dedicated to Lord Vishnu and his consort Goddess Lakshmi and was inaugurated by Mahatma Gandhi. This mandir is known for being the first large Hindu temple to be constructed in Delhi. The entire 7.5 acres of the temple complex is adorned with shrines, fountains and gardens making it a must visit site. Post lunch you will be made to visit another UNESCO world heritage site, Qutub Minar. This minaret was is 239 feet tall with tapering walls and forms one of the most crucial composition of the Qutub complex, including the age old iron pillar as well as Quwwat ul Islam mosque. Your next stop will be the popular, National Museum, which gloriously showcases the past from a grass root perspective. 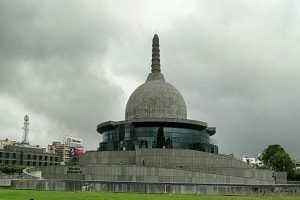 With precious relics dating back to 4th and 5th century, this museum represents the real India in its entire splendor with sections on impact of Lord Buddha, ancient archeology, centuries old stone sculptures and much more. Your final stop will be the face of Delhi, Lotus temple. The temple gets its name from of its lotus flower – like architectural design drawing people form far and wide into this Bahai house of worship. After visiting some of the most popular tourist destinations in Delhi, you will be taken back to your hotel where you will be given a delicious and fulfilling dinner meal, and finaly you will retire for a night stay. After having a wholesome breakfast meal early in the morning you will be driven to Jaipur. Once you arrive in Jaipur you will be comfortably checked into your hotel where you will relax and freshen up for a while. During evening time you will be taken for a tour to Amer Fort, which is known for its artistic Hindu style elements. It is one of the main tourist attractions in Jaipur and is located atop a hill. It is also one of the five hill forts of Rajasthan which has been declared as a UNESCO world heritage site. After a fun packed day, you will be taken back to your hotel for dinner and an overnight stay there. Early in the morning, post a healthy breakfast, you will be taken for a full day of Jaipur sightseeing tour. The local excursion will begin with City Palace. Built between 1729 to 1732, this city palace complex acted as the seat of Maharaja of jaipur. The entire area is home to Chandra Mahal as well as Mubarak Mahal which in modern day acts as a museum. The complex is littered with magnificently large gardens, vast pavilions complete with intricately wonderful designs. Here you will experience the true royal regality in its full splendor. Your next stop will be Hawa Mahal, which is also known as “palace of winds”, and is constructed out of red and pink sandstone. This five storey structure which looks like a honeycomb, is called so because of the presence of 953 small windows or jharokhas. These tiny windows are adorned with delicate latticework. After having an awe inspiring experience, post lunch you will be taken to Jantar Mantar museum. A UNESCO world heritage site, this monument complex in Jaipur is home to a collection of 19 architectural astronomical instruments which allows the observation of astronomical positions just with the naked eyes. After spending some quality time in exploring the local culture and traditions of Jaipur, you will be headed to your hotel rooms for an overnight stay after a wholesome dinner meal. Early morning after breakfast, you will be taken to Agra and on the way stopping to visit Fatehpur Sikri. Fatehpur sikri was constructed by the Mughal emperor Akbar in 1571. Home to the popular Buland Darwaza, which is a victory arch way built to commemorate a successful Gujarat campaign by Akbar. The complex also includes Panch Mahal which is a wind catcher tower, tomb of Salim Chisti a mausoleum constructed for Sufi saint Salim Chisti and Hiran Minar along with a number of other structures. Upon your arrival in Agra, you will be smoothly checked into your hotel, where you will freshen up, relax and get ready for a local tour of the city, starting from Taj Mahal. A UNESCO world heritage site and the 7th wonder of the world, this ivory – white marble mausoleum sits comfortably on the south bank of Yamuna River. Completed in 1643 this magnificent structure houses the tomb of Shah Jahan’s favorite wife, Mumtav Mahal, which forms the centre-piece of the structure. Complete with formal and neat gardens Taj Mahal is truly an architectural wonder to behold. You will then be made to visit the famous UNESCO world heritage site, Agra Fort, which served as the main residence for the emperors of Mughal dynasty, when the capital city was shifted from Agra to Delhi. This walled city is built with red sandstone. After this visit you will finally be taken back to your hotel for a delicious dinner meal which will be followed by an overnight stay. You will be taken to Taj Mahal early in the morning to witness the glorious sunrise on the wonderful monument. After having a wonderful and fulfilling breakfast you will be taken for a visit to Akbar’s tomb at Sikandra, which is the tomb of Akbar and an extremely significant Mughal architectural masterpiece. In the evening you will transfer to the Tundla railway station form where you will be boarded on a train to Patna, which will be an overnight journey. Upon your arrival in Patna, our tour representative will smoothly transfer you and get you checked in to the hotel. After having a fulfilling breakfast meal, you will be taken for a local sightseeing excursion of the city, which will begin with a visit to Gol Ghar. Constructed in the year 1786, this structure was intended to be a granary, as a measure in the prevention of recurrent famine. This is pillar less, stupa like structure complete with spiral staircases is now a tourist spot. Your next stop will be at the Buddha Smriti Park, which is a modern-urban park, with an aim of commemorating the 2554th birth anniversary of Buddha. Home to a 200 feet high stupa, known as, Patliputra karuna Stupa and situated in the middle of the park this structure is the central attraction for visitors from far and wide. Along with the stupa, this 22 acre complex also contains a museum which houses ancient Buddhist relics from Thailand, Japan, Myanmar and South Korea. At the end of the day you will be escorted back to your hotel where you will spend the night after having a delicious dinner meal. After having an early morning breakfast meal you will be driven to Bodhgaya. Enroute you will be made to visit some of the famous landmark places, starting with Nalanda. Along with being a UNESCO world heritage site this learning centre is a large Buddhist monastery which was built between 5th to 1200 century. The extremely formalized vedic learning methods inspired the establishment of this centre which in its times attracted students and learners from Tibet, China, Central Asia and Korea. 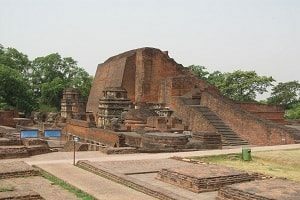 Your next stop will be Rajgir, which was the first capital of Magadha kingdom (which eventually evolved into the Muryan empire). The entire area is noteworthy in Jain and Buddhist religions since Lord Mahavira and Gautam Buddha’s conference took place at Vulture’s peak mountain, which was his favorite retreat place. Experience the grandeur while there and take in the real essence of India. You will then be made to proceed towards Bodhgaya, and upon you arrival there our tour representative will get you checked in to a hotel where you will spend the night followed by an overnight stay. Early in the morning after having a delicious breakfast meal you will be taken for an excursion to Sujata Village. This village is highly revered by Buddhists since it is believed that this is the exact same village where Siddhartha was given a bowl full of kheer which, after consuming, made the feeble and weak Siddhartha miraculously recover and gain back his strength. He is also said to have attained enlightenment while meditating under a papal tree at night. The village also has a stupa which contains ancient inscriptions dating back to 8th to 9th century. Buddhist believers from far and wide flock this village and pay their respects to the enlightened one. In the afternoon after having a lunch meal you will be made to proceed towards the Mahabodhi temple which houses the famous Bodhi tree. This ancient UNESCO world heritage site is the exact location where Buddha is believed to have attained his enlightenment. Built by emperor ashoka in 260 BCE, this temple is a major pilgrimage destination for Buddhist followers, the temple complex houses two large towers in the form of a pagoda, this site dates back to as early as 2nd to 3rd century. The Bodhi tree which is present towards the east of the temple is extremely significant for Buddhism believers, and is the same tree, under which Lord Buddha was meditating for days and attained his enlightenment, making him the “awakened one”. After a spiritually evoking day out you will be taken back to your hotel for an overnight stay along with some delicious dinner. After having a fulfilling breakfast in the morning you will be driven to Varanasi. After arriving in Varanasi you will be checked into a hotel for freshening up and relaxing for a bit before heading out for a sightseeing trip of Sarnath temple. Sarnath temple is one of the sacred temples for Buddhists, where Lord Buddha is believed to have given his very first sermon to his disciples after attaining Nirvana. Realizing the importance and sanctity of the place, emperor Ashoka took it upon himself to construct one of the finest monuments in 3rd century BC. One of the most famous Buddhist sites in Varanasi people visit Sarnath to pay their homage to their spiritual leader. Finally you will be taken back to your hotel for spending the night after having a delicious meal. 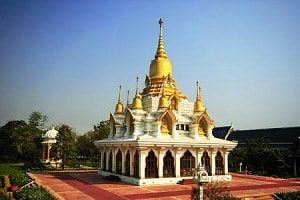 After having a delicious breakfast meal in the morning you will be driven to Kushinagar, where upon arrival you will be taken for a visit to Lord Buddha’s Mahaparinirvana Place. Ramabhar stupa is the cremation spot for Lord Buddha and is another one of the major international Buddhist pilgrimage site in the world. Buddhism followers make sure that they visit this site and pay their respect to their ultimate spiritual leader, at least once in their lifetime. You will then be driven to Gorakhpur where upon your arrival, you will be checked into your hotel for dinner and an overnight stay. After having a fulfilling breakfast in the morning you will be driven to Lumbini, which is the birthplace of Lord Buddha. This Buddhist pilgrimage site in Nepal, Lumbini is one of the most highly regarded sites. Along with being a UNESCO world heritage site this place plays a pivotal role in the life of Lord Buddha. It houses numerous temples and monasteries of immense significance. You will then be driven to Balrampur and upon your arrival you will be checked into your allotted hotel for an overnight stay and a delicious meal. After having a delicious breakfast meal in the morning you will be taken for a sightseeing excursion of Shravasti which holds immense religious significance for Buddhists. Located on the banks of West Rapti River and it is believed that Lord Buddha is said to have spent 24 days chaturmases here. The place houses ancient stupas, enigmatic viharas among with numerous temples near the village of Sahet-Mahet. It also has remains of the hut where Lord Buddha stayed for the said days and it is also known that while living here he gave his largest amount of instructions and discourses about Buddhism. After a sightseeing excursion you will be taken back to Balrampur form where your journey to Lucknow will commence. 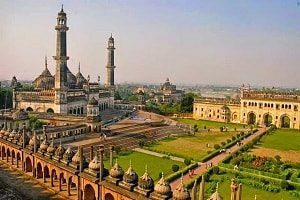 Upon your arrival in Lucknow you will be checked into your hotel for remainder of the night along with getting served a delicious meal. Early in the morning after having a wholesome breakfast meal you will be transferred to the airport for a flight headed to Delhi. After arriving in Delhi you will be transferred to the airport or the railway station from where your onward journey will continue to your desired destination.